If you haven't already, please download and install Teamspeak 3 from here. Be aware that being active on Teamspeak is a requirement for joining the clan. If you have any troubles joining our Teamspeak server, message a member of the High Council (users with red names on the forum) for details on how to resolve the issues. To access your messages, click here. If you have any past offences or player names, please declare them in your application. We will make a judged decision on whether or not you are someone that could make a valuable contribution to the community. If you do not notify us of past offences and/or names and we find out later, you run the risk of being banned off the forums and all of our servers. 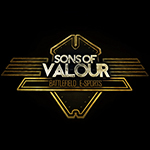 Please note that Sons of Valour has a minimum age requirement of 17 years to apply for the clan. Exceptions will be made for younger people who show maturity well above their age. If you are under 17 years old and would still like to apply to be a member of SoV, please contact a member of the High Council before submitting an application. Do you have any past offences: If Yes please list Game and Details of Offence. Disclaimer: By making this application to join the clan, you are stating that you have read and will abide by the Sons of Valour Clan Charter. By making the application, you also understand that if you fail to complete this application correctly, lie, or deliberately omit important information, you will be permanently removed from the clan and all of its servers, and be made ineligible to reapply in the future. If you have any questions regarding the application process, please contact a member of the High Council or use the contact form on the forums, which can be accessed by clicking here. Last edited by Voltstriker; 21-01-2017 at 11:41 PM.